← What do you eat in February? Just as we were nestling in for the night yesterday evening, there was a knock on our front door. 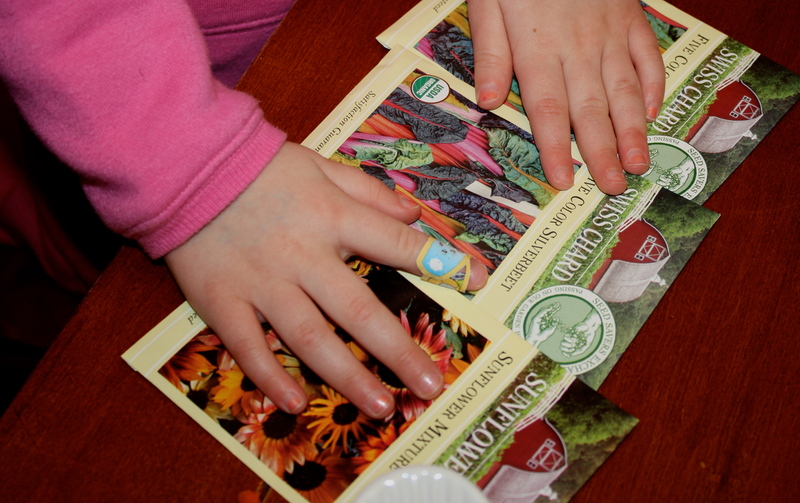 There stood our mailman with a small box tucked under his arm…Our 2013 seeds had arrived. 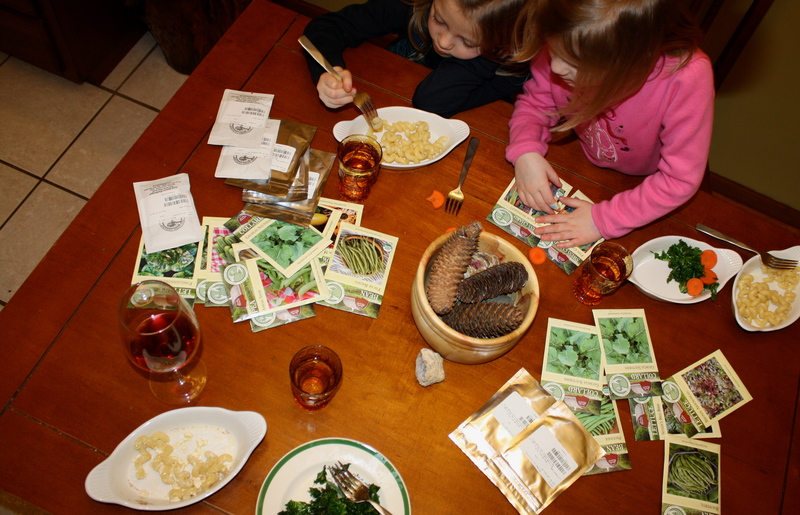 So, our dinner table found itself scattered with those many seed packages, and tiny hands eager to sort them by vegetable, color and shape. We had such fun, we completely forgot about the steady snow falling silently outside our window. Spring is on the horizon. This entry was posted in Gardening, Holistic Living, Sustainable Living and tagged backyard, DIY, eco friendly, food, fresh, garden, gardening, gardens, growing, harvest, holistic, holistic living, home, homemade, homemaker, homemaking, make, making, mama, mindfulness, mom, mother, organic, seed, seeds, sustainable, sustainable living, The Seed Savers Exchange. Bookmark the permalink.